Could Genghis Khan have actually been a Japanese samurai who went to Mongolia? At very the end of the 12th century, two samurai clans, Heishi and Genji had a large battle. In the end, the Genji clan, led by Minamoto no Yoritomo, demolished the Heishi and Yoritomo became a Shogun. He was not the first Shogun, but he was the first Shogun to organize his own government: a Shogunate. It was the beginning of the age of the samurai. Yoritomo had a younger brother named Yoshitsune. He is one of the most popular samurai heroes of Japan, a great commander in chief and a very clever militarist. 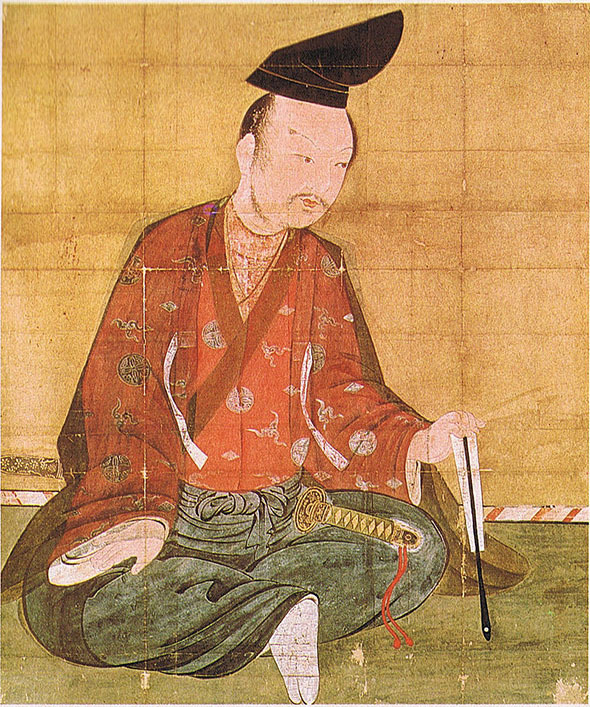 As the Shogunate government started to function, Shogun Yoritomo began to suspect Yoshitsune of planning to overtake his power. Yoshitsune was an honorable man who admired his older brother and he hated this situation. He escaped with a few vessels to the north and asked the Fujiwara clan who ruled northern Japan for protection. The clan had protected Yoshitsune from the Heishi clan when he was a young boy. However, Yoritomo sent a party to find and kill him, and at the same time, threatening the Fujiwara clan to give up Yoshitsune to the Shogunate. Orthodox history says that Yoshitsune killed himself in the Koromogawa area of Hiraizumi located in the present-day Tohoku area of Japan. However, in various areas of northern Japan — Iwate, Aomori and Hokkaido — there are many legends existing that say that Yoshitsune survived the battle and escaped further north. But there are more than oral legends. Old families of northern Japan have documents telling how Yoshitsune got a hold of fighting funds and supplies. So if Yoshitsune had survived, how far did he go to escape? An old document of China, Jin-shi bie-yun [Accounts Other than Official Chronicles of Jin Country], tells of a son of Yoshitsune who became a general of the Jin Dynasty (1115-1234) that ruled Manchuria and Hebei. In addition to this, in the introduction of a document edited by government historians of the Qing Dynasty: Gu jin tu shu ji cheng [Complete Collection of Illustrations and Writings from the Earliest to Current Times], The Qianlong Emperor of Qing (reign 1735-1795), himself wrote that the rulers of the Qing Dynasty were descents of Yoshitsune. According to these documents, Yoshitsune must have gone to Hokkaido and from there to Manchuria. Then he moved further north to Mongolia and organized a nation, calling himself Genghis Khan or Chinggis Khaan. It was 1206 that Genghis Khan, aka Temu-jin, ascended the throne of the Mongolian Empire. The date is quite understandable if we estimate that Yoshitsune narrowly escaped the battle of Hiraizumi and spent more than a decade gaining power in Mongolia. As a military leader in Japan, Yoshitsune had been a genius at surprise attack, utilizing the mobility of cavalry. This was exactly how the Mongolian cavalry fought. According to legends, the ancestors of Genghis Khan belonged to the Kiyad clan, a part of the Nirun tribes, and his mother’s name was Hoelun Ike. Yoshitsune was born in Kyoto of Nihon (from where Japan’s name came from) and it was Lady Ike-no-zenni who saved his life from Heishi clan when he was a boy. The first person who introduced this theory was a well known German Doctor, Philipp Franz Balthasar von Siebold (1796-1866), who was sent to Japan in 1823 by the Dutch government. He carried out research and established a Western style medical school in Edo period Japan while it was still under the rule of samurai. In his seven volume series “Nippon,” he wrote about Yoshitsune and Genghis Khan. During the Meiji period (1868-1912) after the modernization of Japan, some intelligentsia discussed this theory. However it was Oyabe Zenichiro’s substantial bestseller of 1924, Genghis Khan ha Minamoto-no-Yoshitsune Nari [Genghis Khan was Yoshitsune] which made this theory known to the public. Oyabe was a pastor, an educator and a researcher of Ainu in Hokkaido. After him, a number of authors and local historians undertook this theory, which is still popular among certain Japanese. A book written by Takagi Akimitsu Jingisukan no Himitsu [The Secret of Genghis Khan] (1958), which promoted this theory, was also a bestseller. Yoshitsune aka Genghis Khan died in 1227. However even after his death, the Mongolian Empire kept expanding into the west, from Turkey and Eastern Europe and to the east, to continental China and the Korean peninsula. All these areas in between were under Mongolian rule. Yoshitsune did not die in Northern Japan, but instead attained greatness on the Eurasia continent, or so we are made to think. The legend that says Yoshitsune escaped further North into Tohoku and Hokkaido has a kind of underdog charm that was popular among Japanese in the Edo Period (1603-1867). There was also a propaganda strategy of the Hokkaido Matsumae domain during the Edo Period of trying to rule over Ainu people by telling them that once a Japanese hero became their leader. However, a number of legends about Yoshitsune handed down by word of mouth among the Ainu people often describe Yoshitsune as a thief or a womanizer. Ainu used the legend imposed by the Japanese Matsumae domain to express how Japanese are immoral. Even if you take the Japanese version of the legend seriously, you will find that the dates conflict with the Yoshitsune Genghis Khan theory. One example is Ruike-Inari Daimyojin Engi [The Origin of the Great Ruike Inari Shrine] of Hachinohe in Aomori prefecture. This document says that Yoshitsune left for Hokkaido in 1205. That wouldn’t give him enough time to reach Mongolia and become their emperor since Genghis Khan became the emperor of Mongolia in 1206. If the Yoshitsune Genghis Khan theory is true, it would have been impossible for Yoshitsune to go to Hokkaido in 1205. There are also other timing conflicts found in documents from other parts of Japan. It is a common phenomenon for families to let a forger make “old documents” or to buy them in order to make their history look more important. When comparing documents written by Yoshitsune with those of the old families of the eastern and northeastern areas of Japan, the researchers noticed similarities among them. The possibility is that the same forger sold them to a number of families at the time. The Jin-shi Bie-yun [Accounts Other than Official Chronicles of Jin Country] is now reveled as a product of Sawada Gen-nai (1619-1688). Sawada was known as professional phony family records maker, and for Jin-shi Bie-yun, he even didn’t bother making it. He only gives some quotes from it in his writings. This is a book that never existed. Gu Jin Tu Shu Ji Cheng [Complete Collection of Illustrations and Writings from the Earliest to Current Times] is an actual document, but looking through it, there is nothing concerning Yoshitsune. Many Japanese today believe that Yoshitsune is written about in this book, but it is not true. The crest of Sasa-rindo was not the crest of Seiwa-Genji. It belongs to other branches of Genji, Murakami and Uda. It was in a Kabuki play of the Edo Period where it was connected this crest to the Seiwa-Genji, mostly because they had to promote their stories as fictional and not real. In addition, the ancient Mongolian Sasa-rindo crests shown in Oyabe’s book looks quite different from the Japanese Sasa-rindo crest. The Sasa-rindo crest is a pattern made from sasa (dwarf bamboo) and rindo (gentian flowers). The Mongolian pattern shows some similarity with bamboo, but it is difficult to see anything that looks like the gentian flower. We must conclude that this Mongolian pattern has nothing to do with Sasa-rindo. Talking about the strategies of Yoshitsune and the Mongolian cavalry, they also are quite different from each other, and we do not find anything similar between them. If it was Yoshitsune who had developed the strategies of the Mongolian army, Japanese samurais could easily defeat the army of Genghis Khan’s grandson which attacked Japan in 1274 and 1281. However, these descendants of the Genji clan suffered greatly under the Mongolian cavalry because their way of war was absolutely new to Japan. The theory of similarities in name and the number of flags are groundless, as is the theory of similarities between Lady Ike of Japan and Hoelun Ike of Mongolia. Ike means “mother” in Mongolian and Khan of Genghis Khan is a title meaning emperor, and there were many Khans before Genghis. These similarities in sounds have nothing to do with Ike no zenni or Yoshitsune’s name, Gen Gi Kei. It is true that von Siebold recorded the theory of Yoshitsune becoming Genghis Khan in his books. It is easy to disprove the connections between Yoshitsune and Genghis Khan academically. However, the legend has survived and it is still very popular today. It shows how the Japanese people love Yoshitsune as a tragic hero and how they have deep inferiority complexes towards the nations on the continent. Copyright © ASIOS All Rights Reserved.